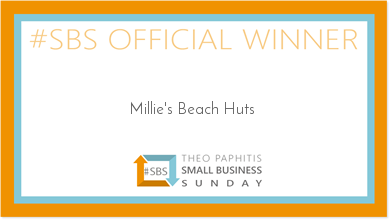 Millie's Beach Hut Blog was founded in 2015 but really came to life in 2016 with all blogs written by Vicky (yep me - the owner and founder of Millie's Beach Huts). If you aren't already familiar with our story then pop across and have a read. We have a loyal customer base and during 2017 over 775 families passed through our doors, experiencing a beach hut day. A massive 2.5 times more than in 2016 and each and every guest was surrounded by gorgeous interiors and many small business products. You see it was important to me to showcase talent in our beach huts and support other small business owners just like me. But it's not just those who visit our huts that visit our website. Why? 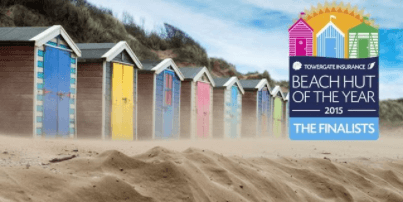 Well, the Millie's Beach Hut blog aims to answer every question that you could have about the services that provide, the industry in which we operate and well anything that our readers would find interesting! That's why we review accommodation, decor items, suppliers to our beach huts, days out and even doggy items (well we couldn't' leave out Millie!). It's become a true lifestyle blog capturing our own adventures as well as those days our guests spend in our beautiful huts. Our blog is supported by our social media presence across Facebook, Twitter, Instagram and Pinterest, all of which are steadily growing month on month. During the short time I've been blogging, it's clear that social media is continually changing and we are too. So you'll always find us testing out new platforms and forms of content to best meet both our own needs as a business but our hutters too! Our huts are renowned for their contents, including our 'happy walls' full of small business products. 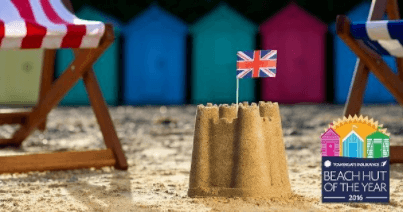 So why not showcase your product in one or more of our beach huts? You'll also feature in our "how to design beach hut" blog series and have your very own feature via our supplier's blog. Our content calendar includes two half-year giveaways and I love to give back to our 'hutters' through these successful campaigns. We can either collaborate on one of our regular annual giveaways or we can create a new campaign tailored to your own product or service. We can either provide links through to your online shop or use our own online WooCommerce shop on our website (including drop-shipping). This has the benefit of being able to easily place your products in front of our readers and beach hut hire guests. I love to review new products, holidays and days out. Millie loves to tag along on dog-friendly adventures too! I know that our readers love our reviews too as they are packed full of helpful and honest information including price, quality, ease of use and overall service. If you have an idea to collaborate or want to find out more about us, I'd love to chat. Millie's Beach Huts typical reader and guest (primary booker) is a Female between the ages of 25-44 and lives in the UK. Nearly 50% of our guests are aged 35-44 and all tend to have young families, looking to spend their summer holidays in the UK. Many have their fur-kids tag along for the day too. They love the coast and they love creating spaces and experiences with their loved ones. We share a passion. A passion that is 100% about creating memories. That's why they choose Millie's Beach Huts time and time again. Our readers are predominantly based in Essex, Suffolk and London but I expect this to expand as our locations grow year on year. Now we've established that we have the same ideal client, can I help you get in front of our readers and guests? I appreciate a good visual photograph and a great video sequence. However, they should enhance a product/service review rather than be the sole focus. My blogs will review the full experience with quality writing, photography and videography supporting that visual content. Where I have received a product, service or discount as part of a review, this will be disclosed. Honesty. I will point out any concerns or downsides to a product or service for particular readers. If I love it, we'll say so (and are unlikely to shut up about it). Consistent distribution of content and regular recycling of blogs/reviews via all platforms. During our peak season, I publish on average 3 blog/vlogs per week which I reduce to 1-2 per month out of our main season. My aim is to connect with our shared followers and readers and engage a wider audience with insightful reviews that will be found long after the publish date.